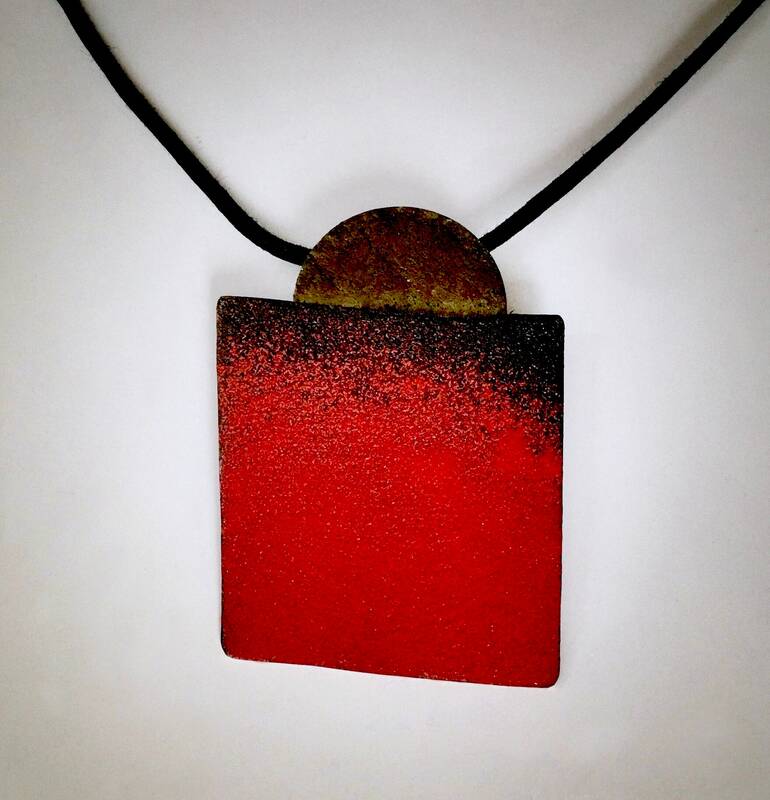 A dramatic and industrial EnamelArt pendant features textured vitreous enameled on copper in deep red and black, attached to oxidized and textured Sterling Silver. Pendant measures approx. 2” X 1 1/2” and is suspended from a black cotton neckcord with Sterling Clasp.